Chan Jie Yu, 23, has been on 19 backpacking trips since 2015. During 23-year-old Chan Jie Yu’s first backpacking trip to Vietnam in 2015, she spent two weeks travelling around the country. “Backpacking was something I had wanted to do since young as I was bored of the environment around me,” she said. 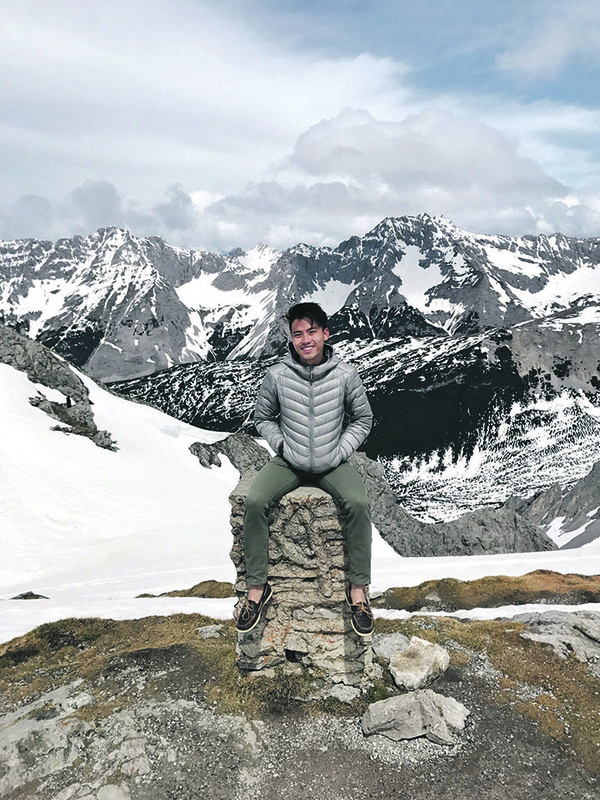 Since then, the second-year Nanyang Business School student has been on 19 backpacking trips, which include getaways to countries far from home, like Romania and Morocco. “The entire experience constantly excites me because I never know who I am going to meet next who can change my view of life,” she said. Like Chan, more students are choosing to go on backpacking trips during the school holidays and for their graduation trips. According to a 2013 Forbes article, a report done by the World Youth Student and Educational Travel Confederation – an Amsterdam-based non-profit organisation that promotes the youth travel industry – showed that $217 billion of the $1.088 trillion global expenditure on travel in 2012 came from young travelers, many of whom were backpackers. 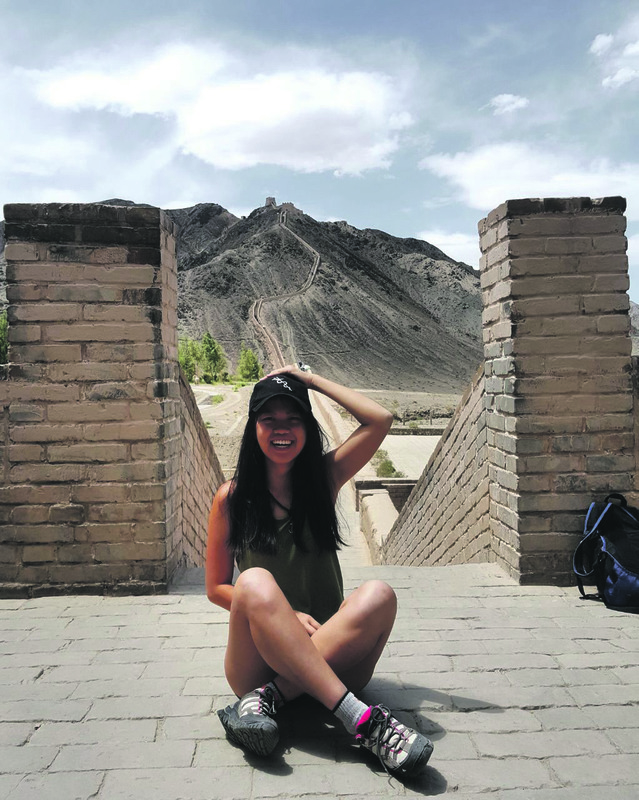 During her summer holidays from May to August last year, Chan spent almost two months travelling around China and Central Asia in her longest backpacking trip to date. She was interested to learn about the lifestyle of Muslims in China and the history of the ancient Silk Road. In order to do so, she travelled to 17 cities along the Silk Road. “I roughly knew some of the major cities I was going to visit but I planned my itinerary and transport on the spot,” said Chan. One of the places she travelled to was Kashgar, a town in Xinjiang, China. A majority of its citizens are Uyghur, a Turkic ethnic group, and practise Islam, so Chan spent five days there in order to experience their lifestyle. She recounted her conversations with the locals about the hardships they faced. “They weren’t allowed to celebrate their biggest festival, Eid New Year. Muslims there are not allowed to wear headscarves, and there were security checks everywhere, even at shopping malls and night markets,” she said. During the trip, Chan also hitchhiked for the very first time and this eventually became one of her main modes of transportation on that journey. In order to get around, she often waited at gas stations to hitch rides from locals who were travelling in the same direction. “There are trains that travel between the different cities but I wanted to try hitchhiking because it was something I had never done before,” she said. However, hitchhiking was still nerve-racking as she never knew what kind of drivers she would encounter, said Chan. One slightly harrowing experience was when she hitched a ride from an elderly Chinese couple who took an unexpected detour during the drive. “The road was so bad that they had to do a detour and I couldn’t see where we were going on the map on my phone. They even joked about kidnapping and selling me away but I wasn’t that worried considering that they were in their sixties,” she said. Despite her many backpacking trips, she still enjoys the thrill of rugged adventure, and hopes to plan another trip soon. Oh Jee Hon, 21, backpacked for the first time last year, travelling to three European countries. Three countries in two weeks — that sums up 21-year-old Oh Jee Hon’s solo backpacking trip around Europe last year. During the summer holidays, the first-year student from the Asian School of the Environment backpacked for the first time and travelled to Germany, the Czech Republic and Spain. His holiday in Europe started with a family trip, but Oh struck out on his own after they parted ways in Copenhagen, and kicked off his backpacking journey by taking a ferry to Berlin. “I like the spontaneity of backpacking alone. Travelling alone allows me to interact with many other travellers and plan my own schedule or do whatever I want,” said Oh. Oh (top-left) made international friends while backpacking in Berlin. During his two-week trip, Oh mingled with locals and fellow travellers through Couchsurfing Hangouts, an outline platform for people to meet others in the vicinity to attend events or have meals together. “I had to be more outgoing because I was alone and wanted to meet new people. Couchsurfing Hangouts gave me the chance to meet people from Berlin, Spain, Germany and Scandinavia,” said Oh. 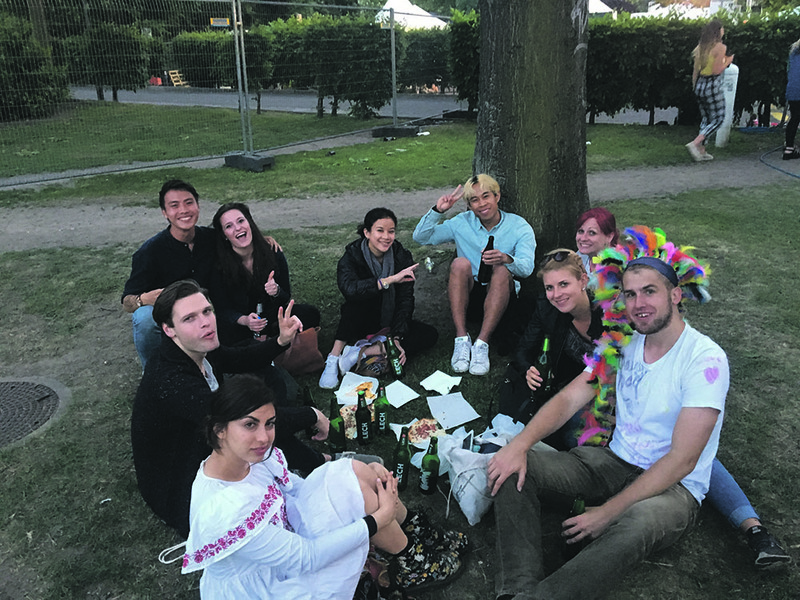 He went to a music festival in Berlin with a group of new friends he met on the platform, he added. “It was nice and fun to hang out with like-minded people who enjoy travelling. A few of them who organised these hangouts were locals hoping to get to know people from around the world,” he said. While he was travelling, Oh kept to a tight budget which meant that he had to cut costs whenever he could. He stayed in backpacker hostels and walked an average of 15 to 20 kilometres every day to avoid expensive public transport fares in places such as Berlin and Barcelona. He also kept his expenses low by asking locals for food recommendations because they knew where to get cheap and good food, he said. “One of my favourite memories would be the beef goulash I had for five euros in Berlin. It would have cost close to 16 euros in a typical restaurant if I didn’t know where to go,” he added. After his first taste of backpacking, Oh looks forward to hitting the road again and hopes to backpack in Scandinavia next. 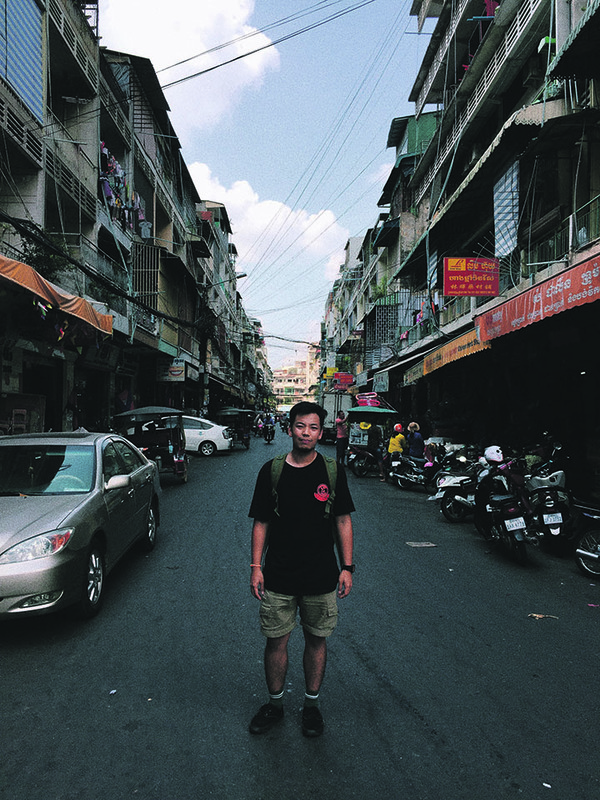 Ryan Lee, 23, backpacked across Asia and Europe in 64 days last summer. Last summer, 23-year-old Ryan Lee embarked on a backpacking trip for more than two months, travelling across Asia and Europe. The second-year School of Social Sciences student and his primary school friend were free during the summer break and their schedules happened to match up, so they decided to backpack from Bangkok to London, he said. But 20 days into the trip, Lee’s friend had to fly home due to a family emergency, and Lee spent the remainder of the trip backpacking solo. “Nothing much changed, but I decided to make a beeline for Western Europe and the Nordic countries instead of spending more time in Russia and Mongolia,” he said. One of his most memorable experiences was crossing the Hohhot border from China to Mongolia, he added. He needed to get to the Hohhot border in order to enter Mongolia from China. There were no other modes of transport available and the only way across was if he found someone willing to drive him through, he added. He eventually hitched a ride from a stranger he met on the street who drove a van. “I thought that I was going to be the only passenger, but the driver ended up spending 1.5 hours picking up random people. There were even knife smugglers on board,” said Lee. Lee said one of the passengers turned out to be of great help when he arrived at the train station and wanted to travel to Ulaanbaatar, the capital of Mongolia. “I couldn’t communicate with the counter staff due to the language barrier and ended up relying on a Mongolian girl I met on the van who could speak Chinese to translate for me,” he said. Without her, he would not have been able to buy the tickets to get to his next destination in Mongolia, he added. To Lee, the greatest satisfaction was when things went according to plan. Before embarking on his journey, he spent around two months planning the logistics of the trip. 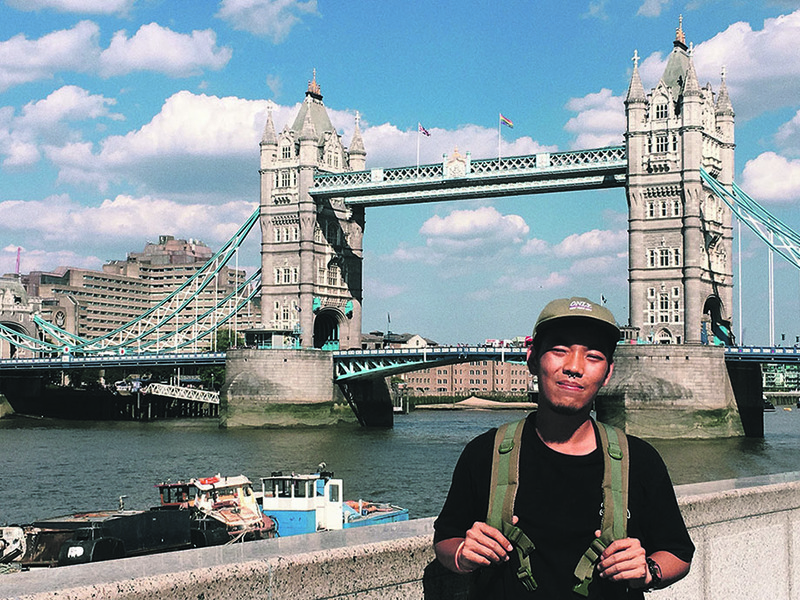 Lee at London’s Tower Bridge during his solo backpacking journey from Southeast Asia to Western Europe.